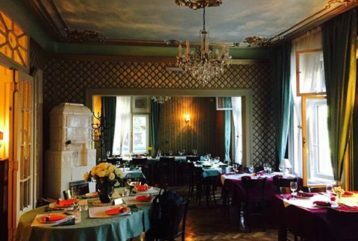 Belgrade restaurants offer rich selection of food and drinks for very affordable prices, ranging from five to ten Euros per meal, regardless of is it a high-class or a middle-class restaurant. 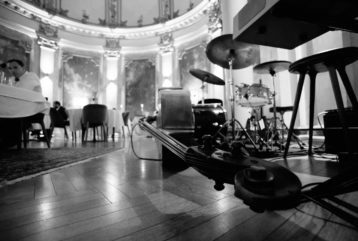 Large number of restaurants has their own music bands that entertain the guests in the evening and night. 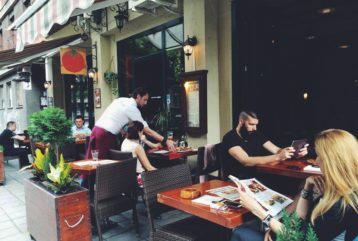 One can find all the cousins of the world in Belgrade: national, international, Chinese, Indian, Greek, Thai, Mexican, Italian… There is a meal for everyone taste, so enjoy great menus and beverage cards. 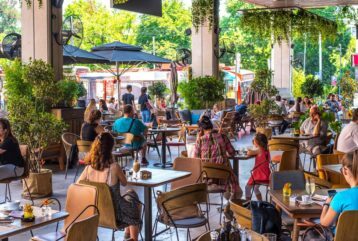 Working hours of most Belgrade restaurants are through midnight during the week,virtual reality glasses and until 1 a.m. on the weekend. Great time always begins with a good meal! 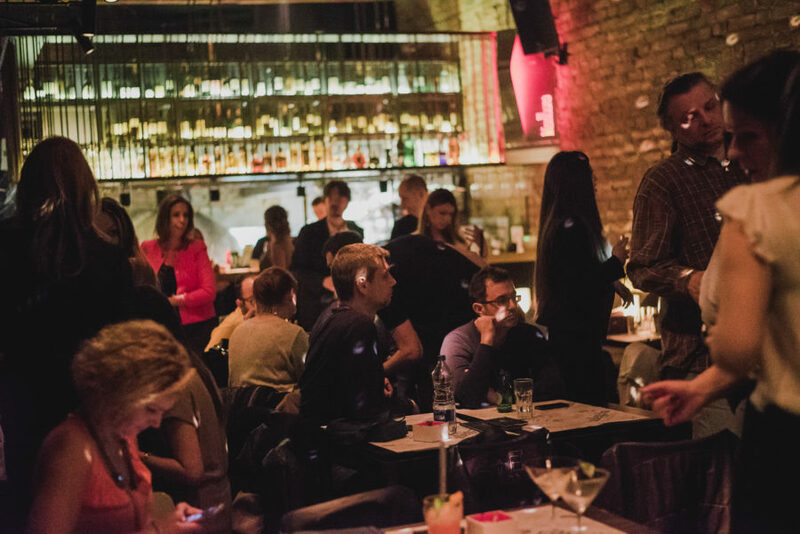 After a tasty lunch or dinner, we recommend you going for a drink (or two) in one of the Belgrade bars, and after that, join your friends at some of the best Belgrade clubs later in the night. 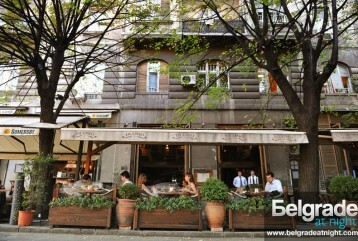 Belgrade has around 3.000 restaurants. In the October 2017, more than 1.000 were registered at the TripAdvisor. 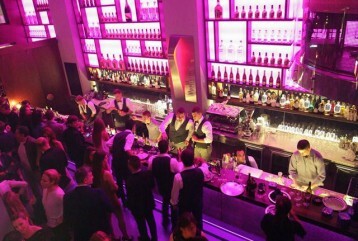 Among them, Belgrade at Night listed The 50 best restaurants in Belgrade. The list is not in any particular order. 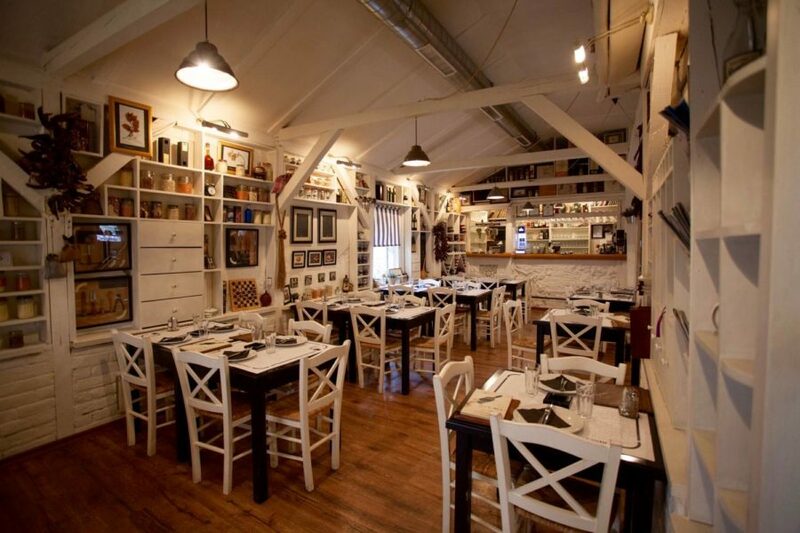 Panta Rei, which in translation from Greek means “everything changes”, is well known restaurant in Belgrade that has been here for over 20 years. 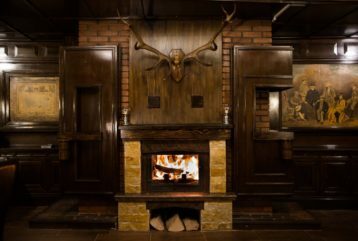 Known for tasteful meals and great atmosphere, it has been visited by many celebrities from Serbia and region.Signature dish: T-Bone steak. Address: Tadeuša Košćuška 63. 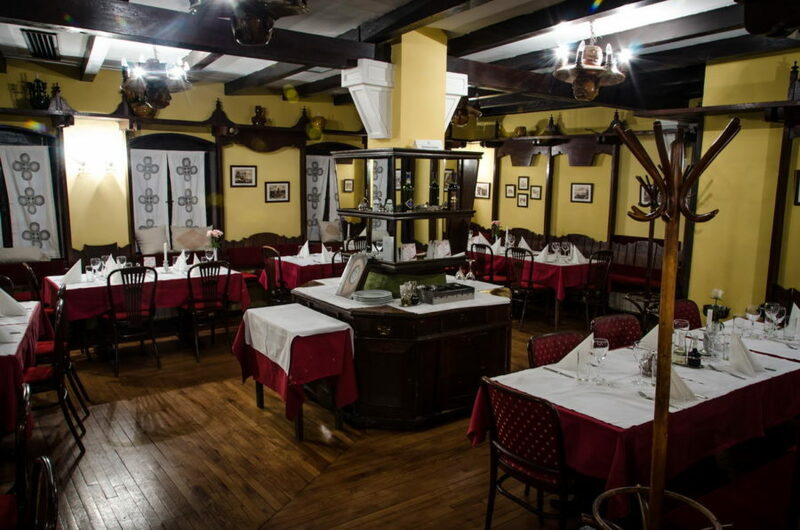 One of the oldest and most traditional restaurant in Belgrade. 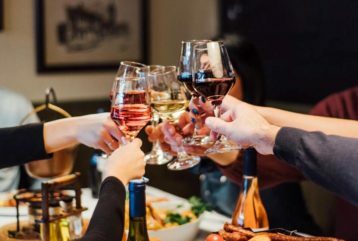 A place to experience the best that local cuisine has to offer, as well as a great selection of regional and international wines, but is also of vital importance for national heritage and culture. Signature dish: Tri Sesira steak. 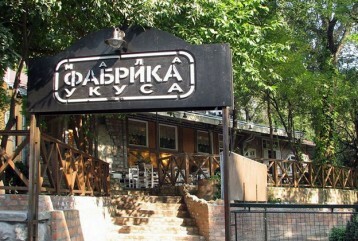 Address: Skadarska 29. 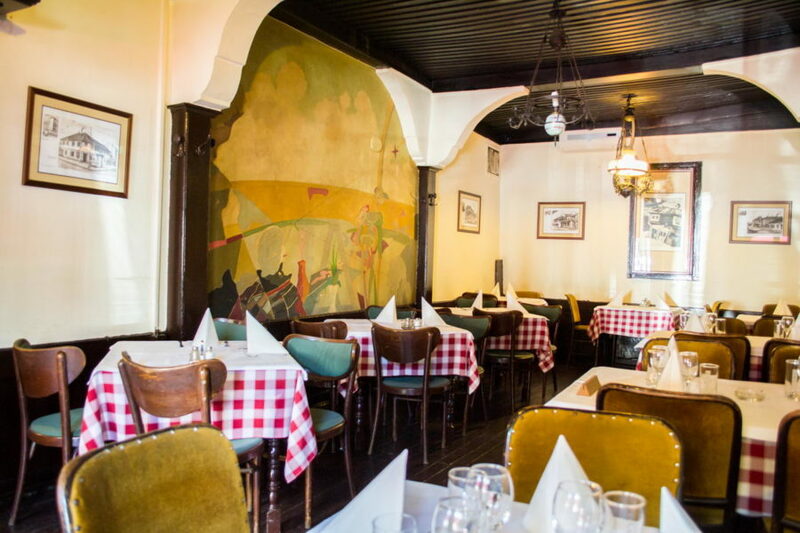 Opened 3rd in a row in chain of Balkan restaurants, gives an unique experience. Signature dish: Ambar train. 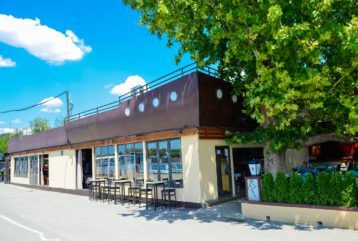 Address:Karađorđeva 2-4. 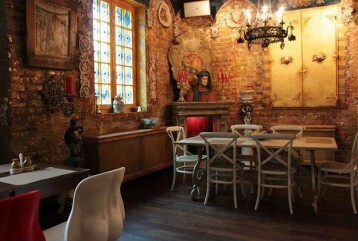 Restaurant that creates fine gastronomy in hedonistic and cozy atmosphere. Signature dish: Escalope Frans on Kajmak. 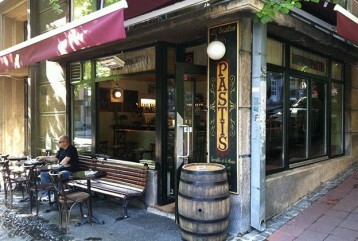 Address: Bulevar oslobodjenja 18a. 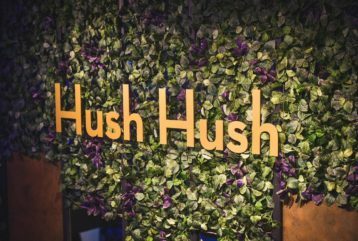 The story says that the restaurant got its name by the one of the guests. 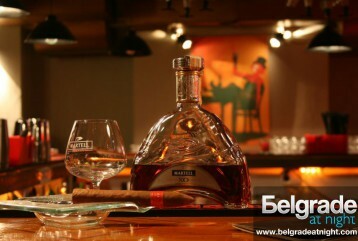 Legend says that he brought a great wine from the Portuguese island of Madeira. Signature dish: Beef fillet a la “Madera” Address: Bulevar kralja Aleksandra 43. Reinvention keeps the classics alive. 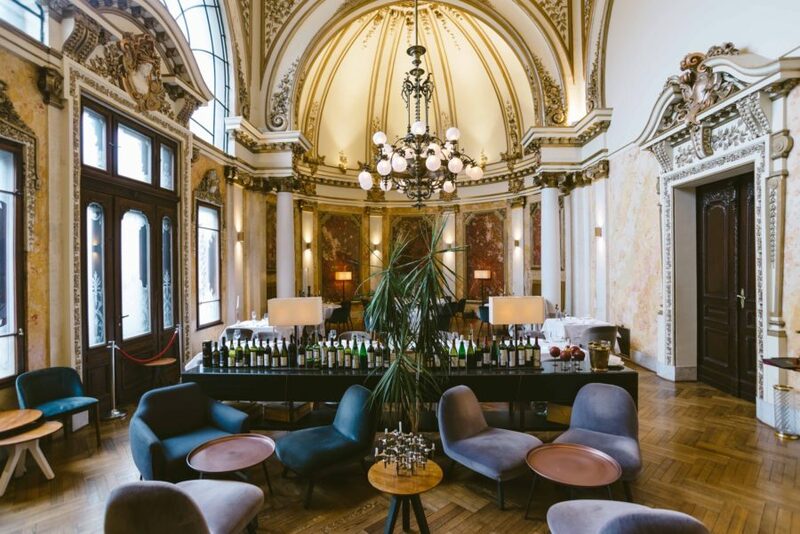 Situated in the iconic ‘Geozavod’ edifice in the very heart of Belgrade’s old town, Salon 1905 offers a truly one of a kind fine dining experience. Signature dish: Duck breast. Address: Karađorđeva 48. 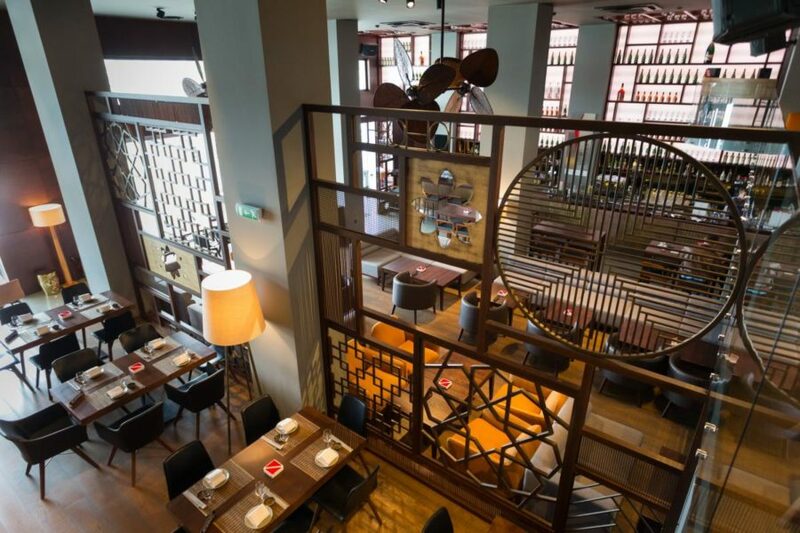 Unusual Asian flavors in a completely modern way in the heart of the Belgrade. 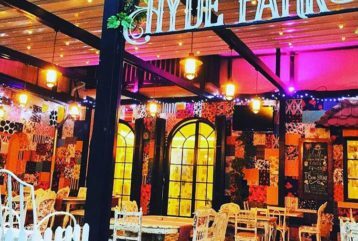 The restaurant is named after the Japanese word for cherry blossom. 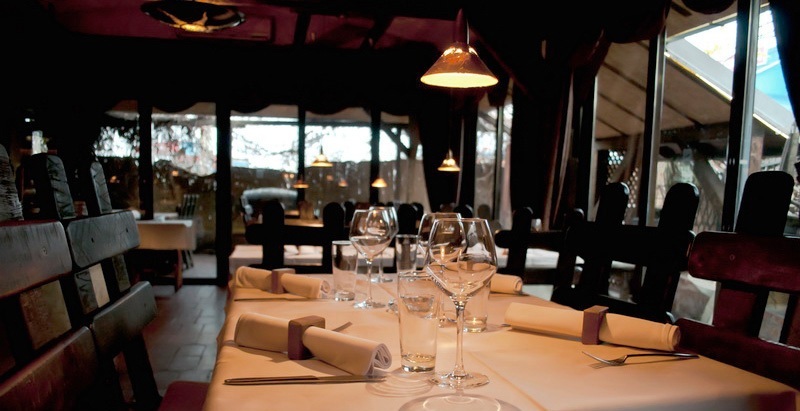 Signature dish: “Black cod” Address: Karadjordjeva 2-4. 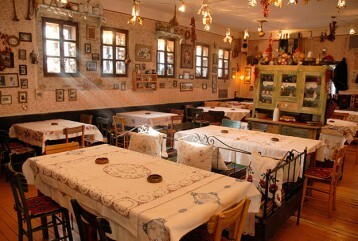 Family restaurant in one of the most beautiful parts of magical old Belgrade. You can expect only excellent food. Signature dish: Lamb in Marsala sauce. Address: Nebojsina 49. Is a creative blend of Pan Latin styles and flavors, behind which stands celebrity Chef and restaurateur Richard Sandoval, whose long list of accolades have catapulted him to the very top of the international culinary scene. 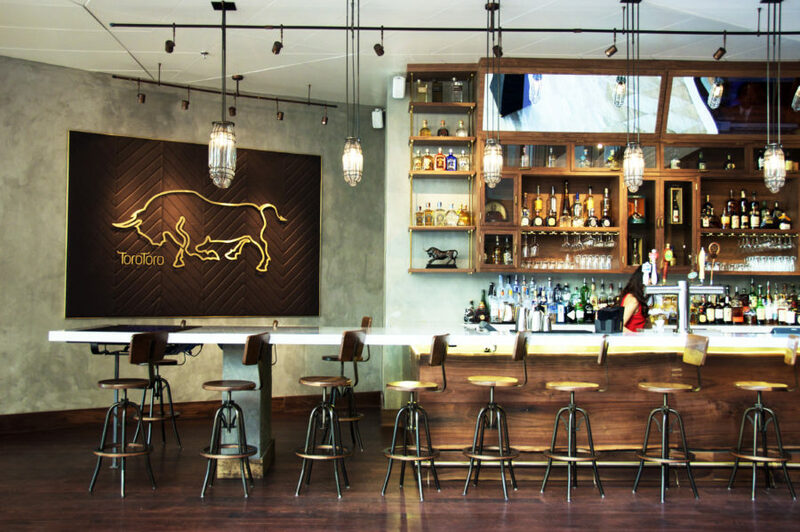 Signature dish: Toro Latin Experience. Address: Karadjordjeva 2-4. 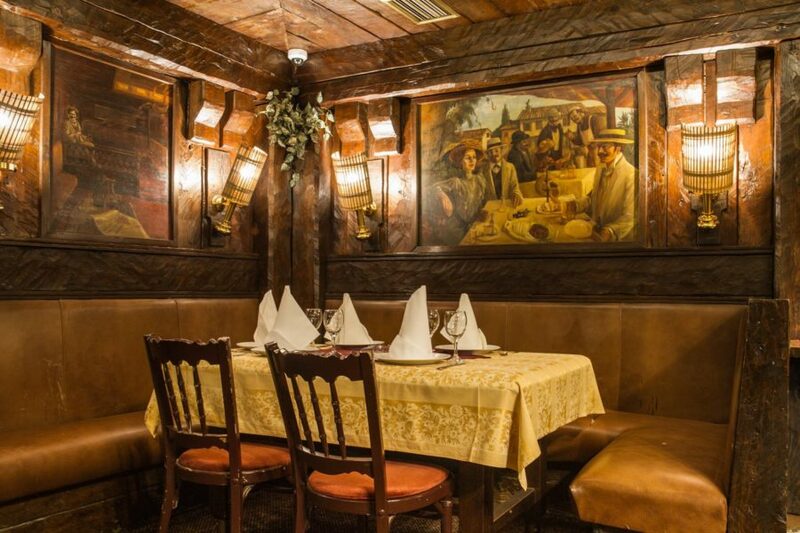 If there is a traditional kafana in Belgrade that can be called an institution, it’s definitely Klub Knjizevnika. Signature dish: Sote Stroganov. 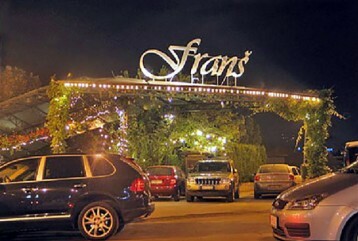 Address: Francuska 7. 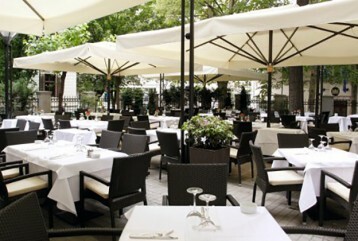 At the most exclusive locations in Belgrade are modernly designed and luxuriously equipped elite restaurants Jerry. Signature dish: Wagyu cheeseburger Address: Tresnjinog cveta 11. 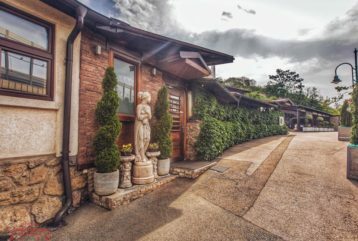 A family restaurant that in a short time managed to win the guests with its originality, charm and a unique blend of Florence and Pirot. 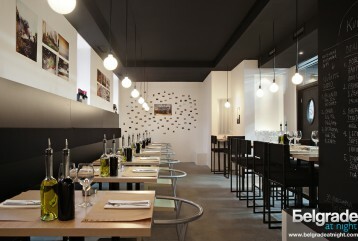 Is a blend of tradition, simplicity and new technologies in food preparation. Signature dish: Florence steak. 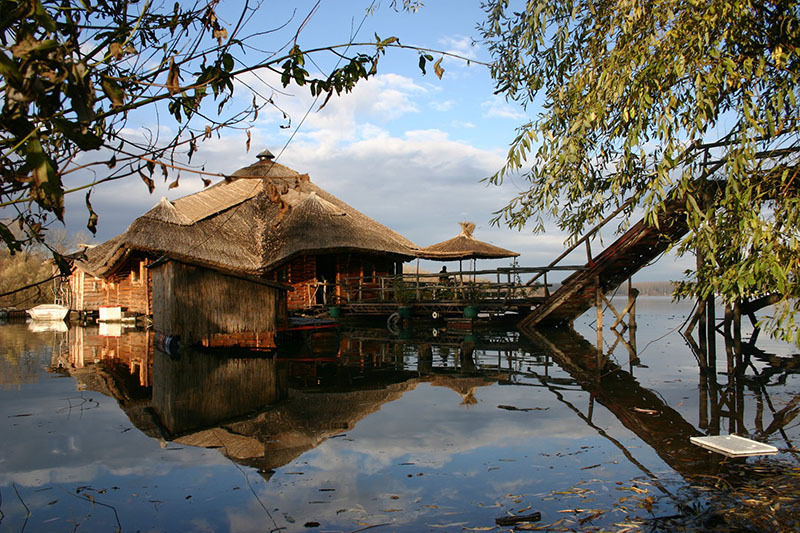 Address: Cvijićeva 110. Indulgence with tact, committed to excellence in every sense of the word – culinary, gastronomical and visual, that is simply Salon 5. Signature dish: “Salon 5” Duck. 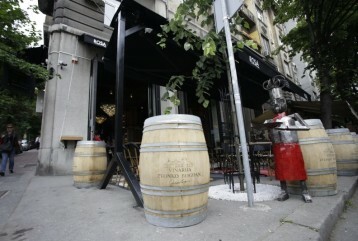 Address: Avijatičarski trg 5. 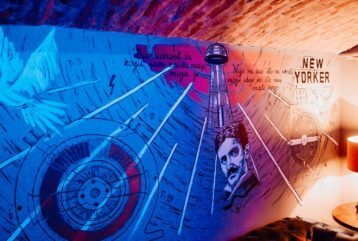 Restaurant “Kuca Velikana” offers a unique experience and a combination of excellent food and superior service in an unusual setting. Signature dish: Chicken with “Mlinci”. Address: Jevremova 56. 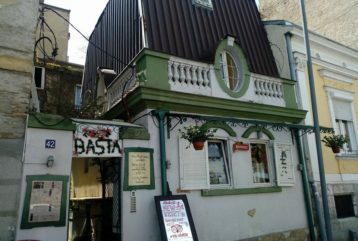 It is said that if you visited Zemun, but didn’t come to Saran, it’s like you have never been in Zemun. Signature dish: Domestic smoked carp. Address: Kej Oslobođenja 53. 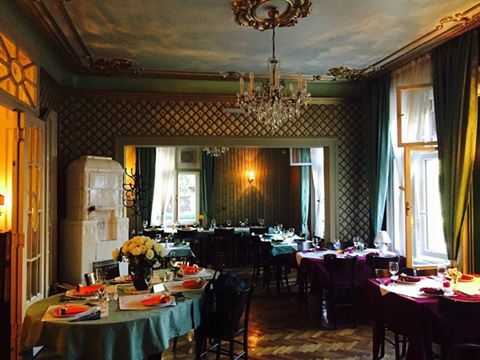 With the tradition more than 100 years old is the largest à la carte restaurant in the former Yugoslavia. 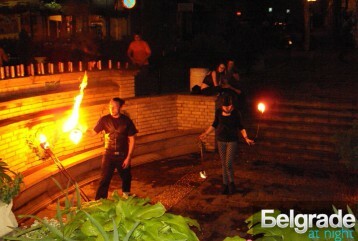 It’s located in one of the oldest and in most bohemian part of the city. Signature dish: „Krsmanović“ fillet. 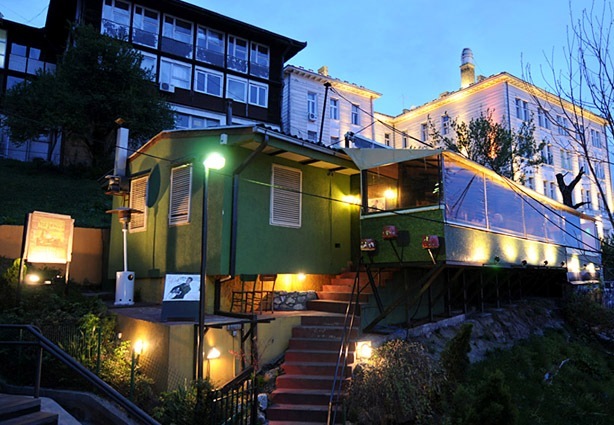 Address: Skadarska 32. 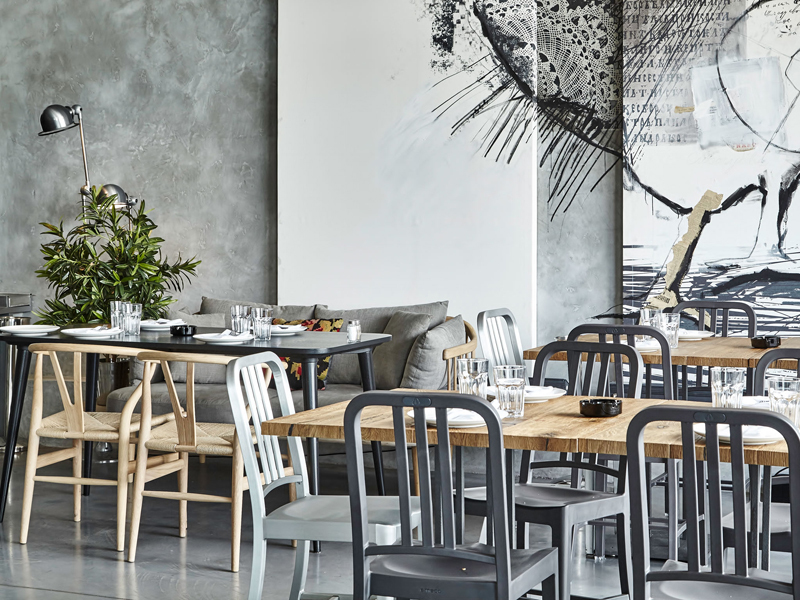 It all began with the desire of four friends to open a restaurant that will be a place for their friends, family and all those who enjoy all of their senses … aesthetes, gourmets and ordinary people. Signature dish: „Dry aged“ beef tagliata. Address: Molerova 33. 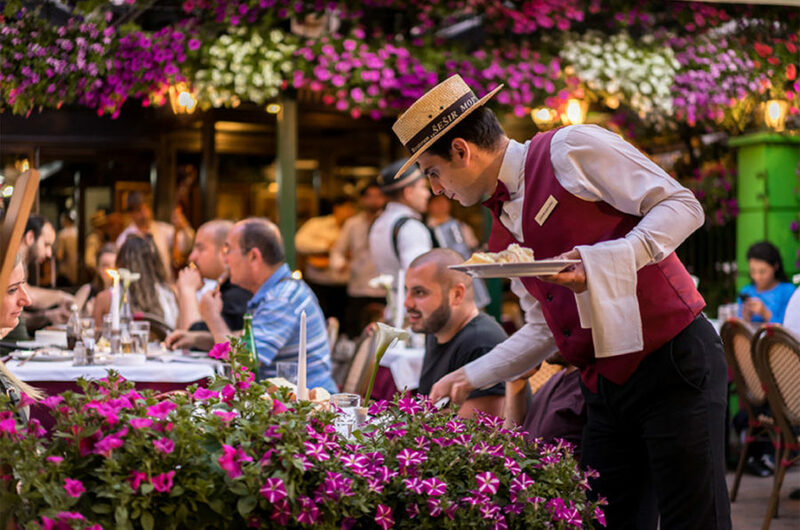 This city is a collection of flavors, carefully selected and collected, you can feel here or bring it with and share it with someone. 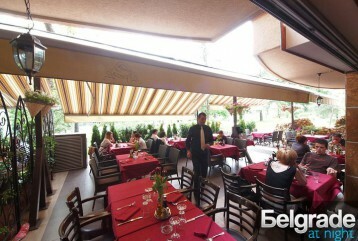 Signature dish: Veal “ispod saca” Address: Kralja Petra 13-15. 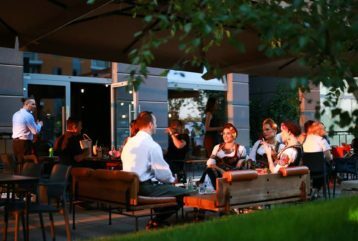 Just like in the world of music, where the opera offers a perfect harmony between melody and onstage performance, the Opera restaurant in the ambience of relaxing elegance. Signature dish: Serbian piquant chicken. Address: Obilićev Venac 30. 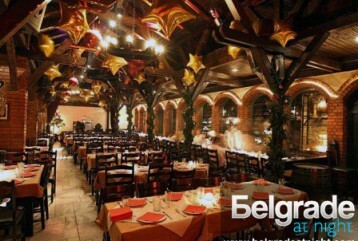 In this magnificent restaurant, spirit of Belgrade can be felt. 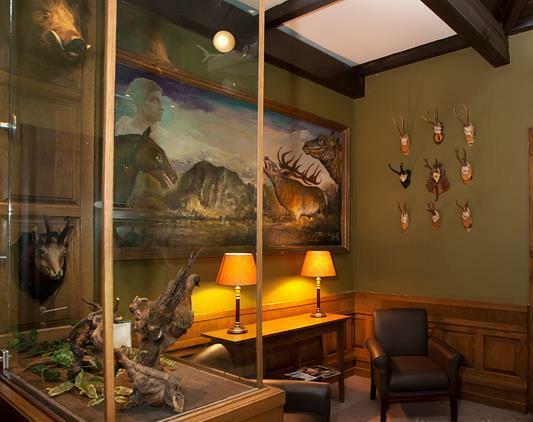 Here you can expect only cordial company and chance to spend your time in warm and pleasant atmosphere. 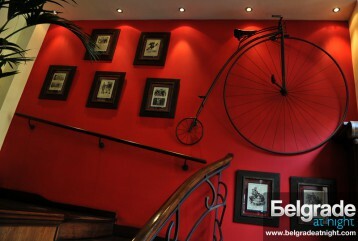 You will enjoy listening rock ‘n’ roll, pop and evergreen music, while eating grand meals and delicious food. Signature dish: Fried olives. 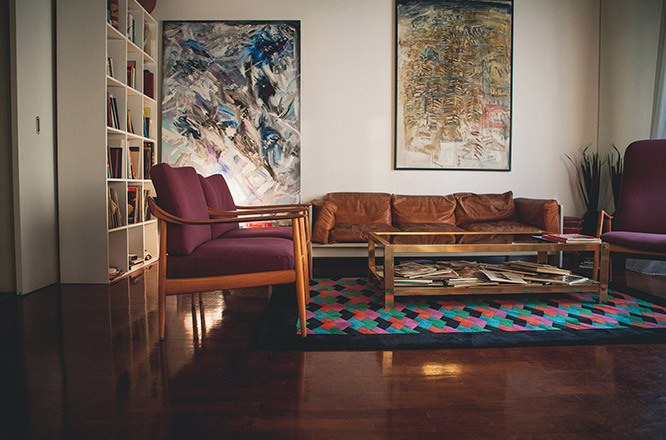 Address: Kej Oslobodjenja 73b. 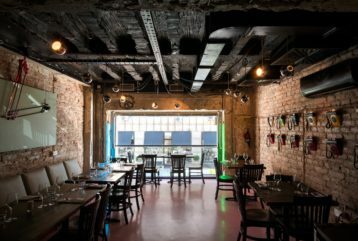 Little Bay restaurant is a part of the restaurant chain of the same name in London and Brighton. 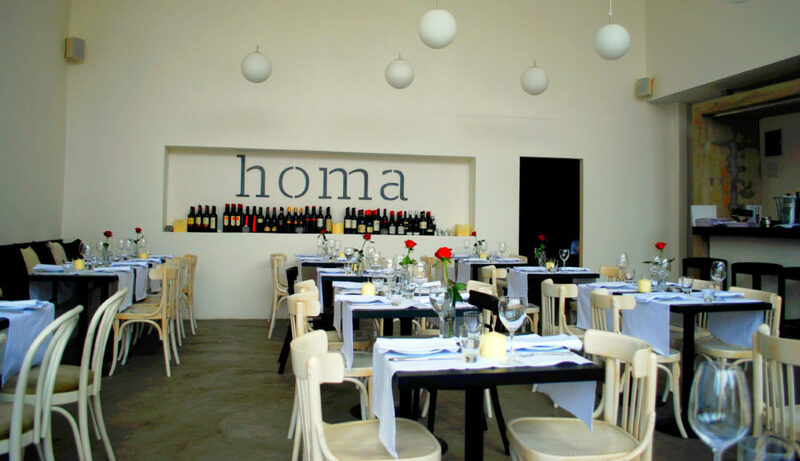 This restaurant is something much more than any categorization could define. That’s maybe because it’s a venue of such simple character. Signature dish: Roasted pork ribs. Address: Dositejeva 9a. 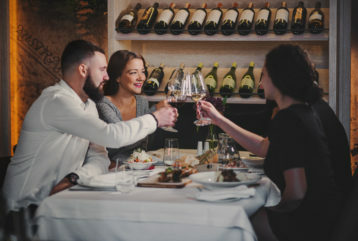 Place has a variety of great things to offer – starting from excellent interior design, for which is very clear that every detail was carefully chosen, to very comprehensive wine card and a tempting menu. Signature dish: FegatoD’Oca. Address: Strahinjića Bana 66a. 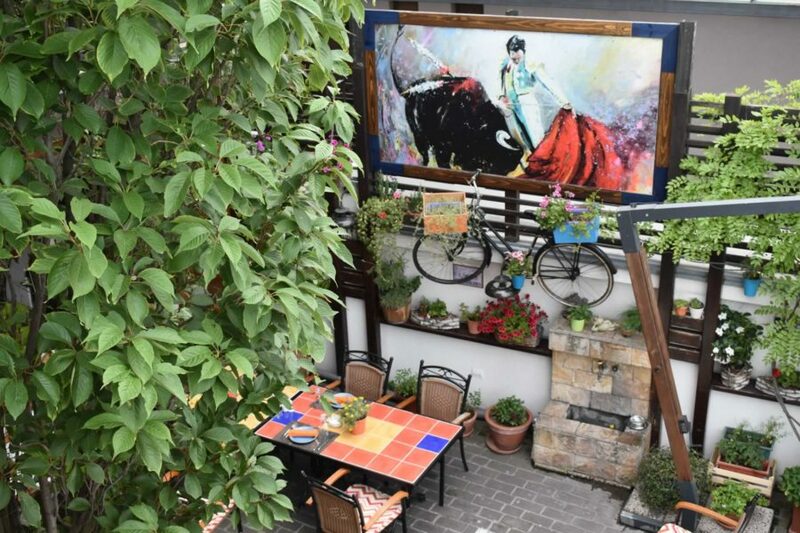 Situated in Neimar, close to a park, Voulez-Vous captures you and leaves breathless with its open space, garden component, its brightness, openness and friendly atmosphere. 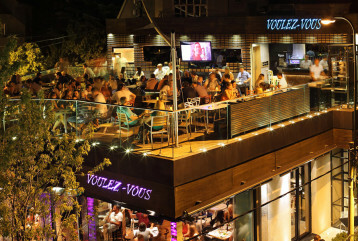 Signature dish: Voulez-Vous KARAĐORĐE’S STEAK. Address: Đorđa Vajferta 52. 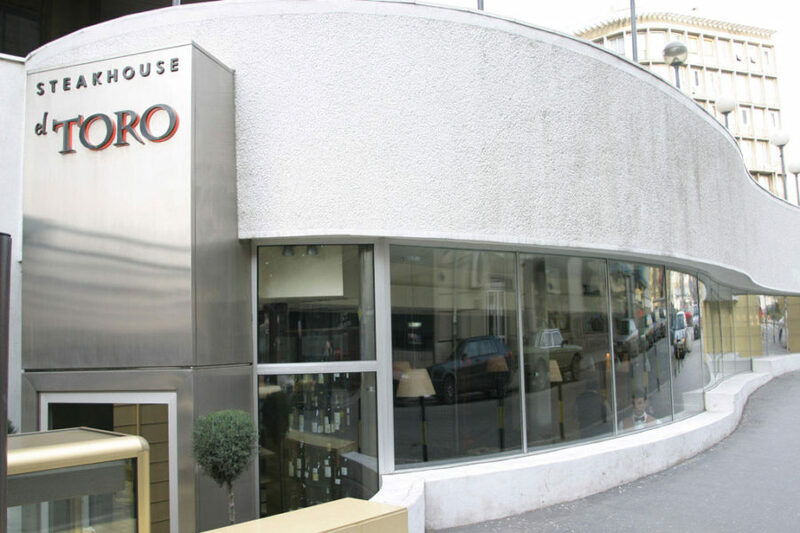 If you want to relax and enjoy the excellent international cuisine, pleasant atmosphere and impeccable service, it’s Steakhouse El Toro, the only steakhouse restaurant in Belgrade, the right choice for you. 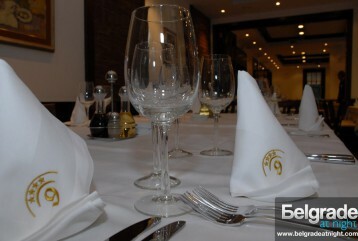 Signature dish: Beefsteak “el Toro” Address: Masarikova 5. 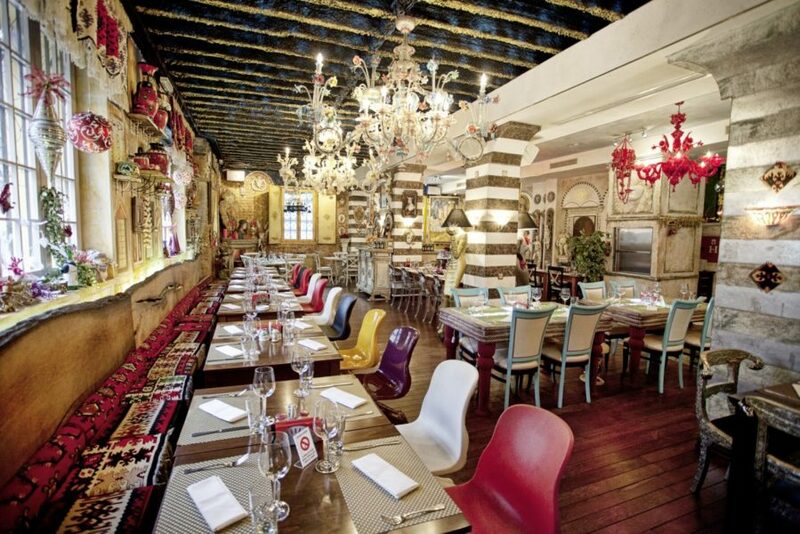 Restaurant Casa Nova is the Italian restaurant in which you can’t get a pizza. No, really. Everything else Italian is an option. Signature dish: “Sicilian wheel”. Address: Gospodar Jovanova 42a. 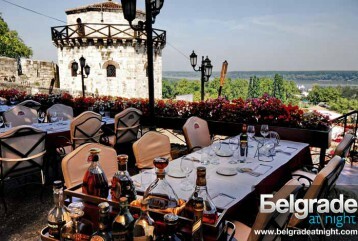 Restaurant with tradition and an oasis of hedonism in the historical core of Belgrade – The Kalemegdan fortress. 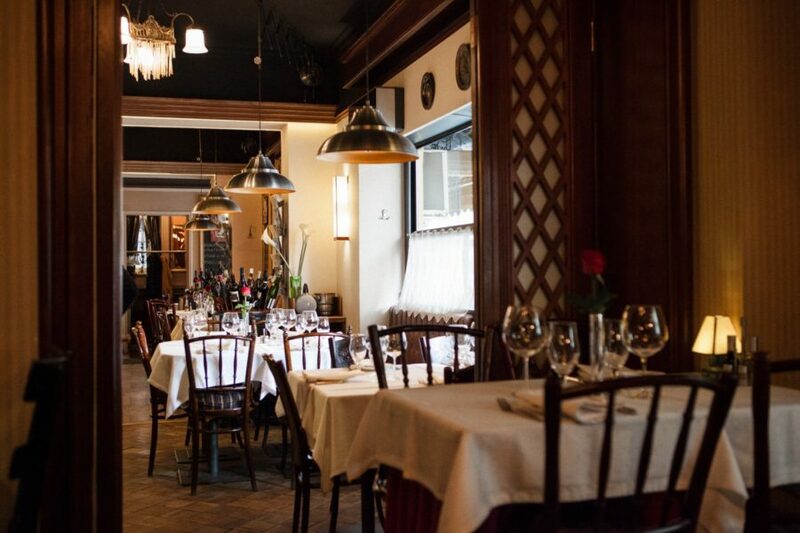 Based on French cuisine suitable for a supreme family meal. 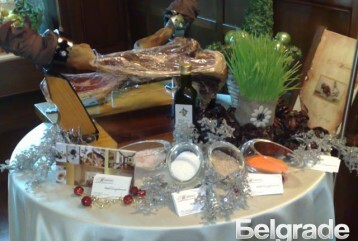 Signature dish: Ragout of beef and goose liver. 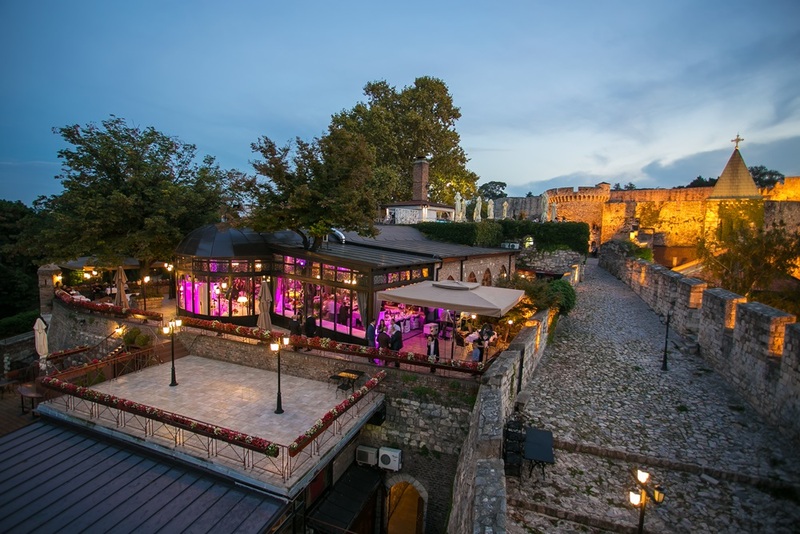 Address: Mali Kalemegdan bb. 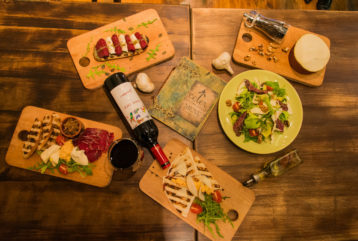 Beautiful ambient is offering a wide range of quality wines from Italy and Serbia and carefully thought-out menu. 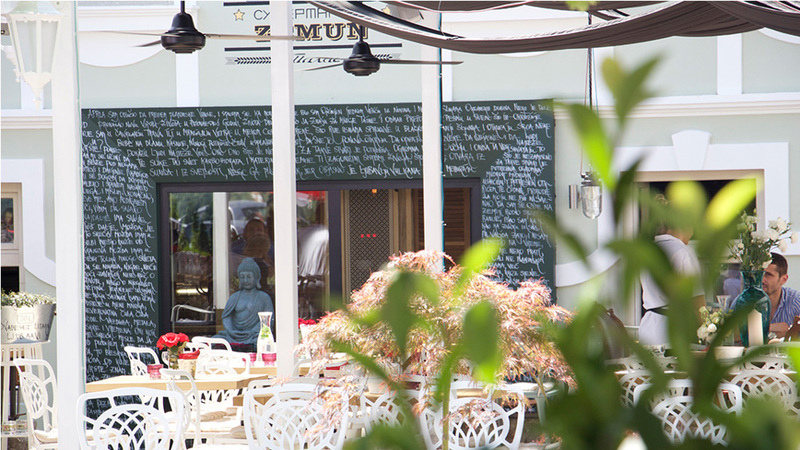 Turn all your senses in one of the most beautiful garden and ambient in town. 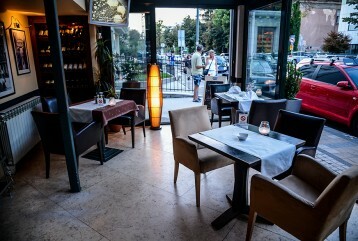 Signature dish: Address: Bulevar kneza Aleksandra Karađorđevića br.6. 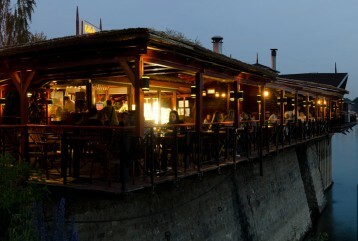 Beautiful restaurant situated in a river bank. 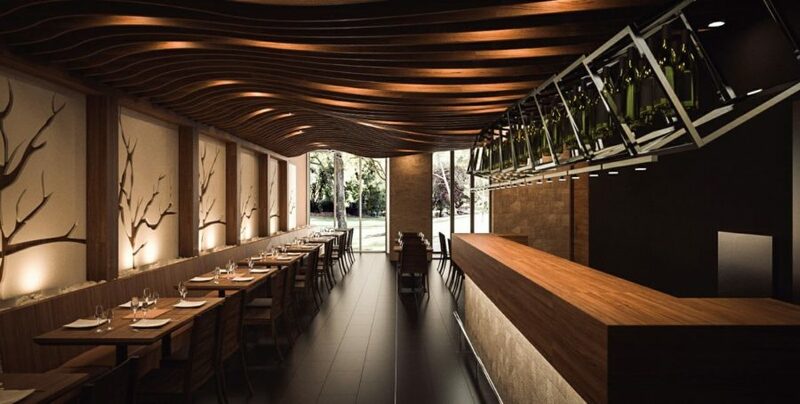 Contains specialties of fresh seafood and freshwater fish, but also international dishes with a wide selection of quality wines and desserts of extraordinary taste. Signature dish:Orada. 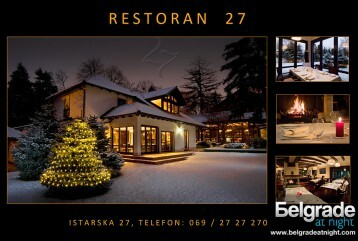 Address: Bulevar Nikole Tesle b.b. 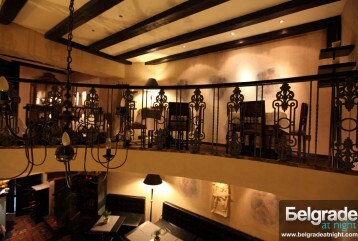 Bistro Grad is a typical spot in the heart of Belgrade. 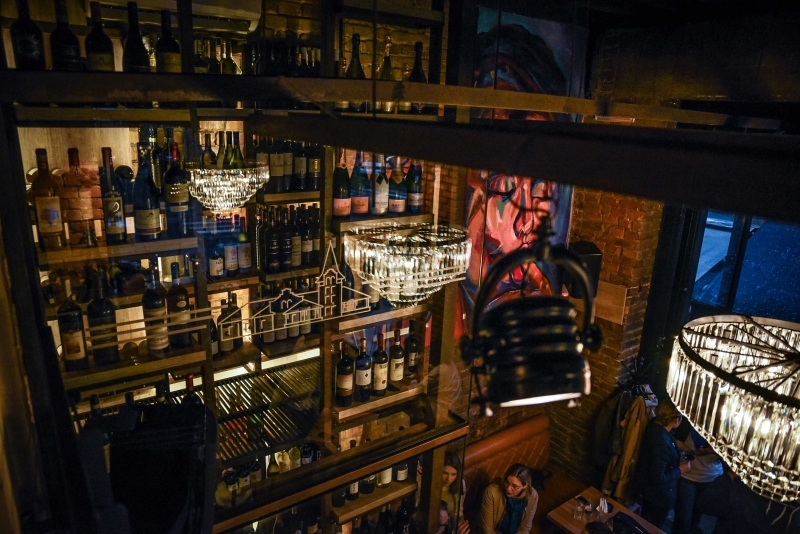 Hometown restaurant and bar offers a tranquil refuge right next to the vibrant pedestrian zone, boasting an irresistible gastronomical twist and genuine Belgrade-style charm. Signature dish:Domestic smoked sausage. Address: Uzun Mirkova 5. 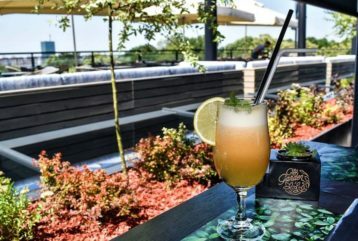 Something different, new, refreshing, extraordinary! 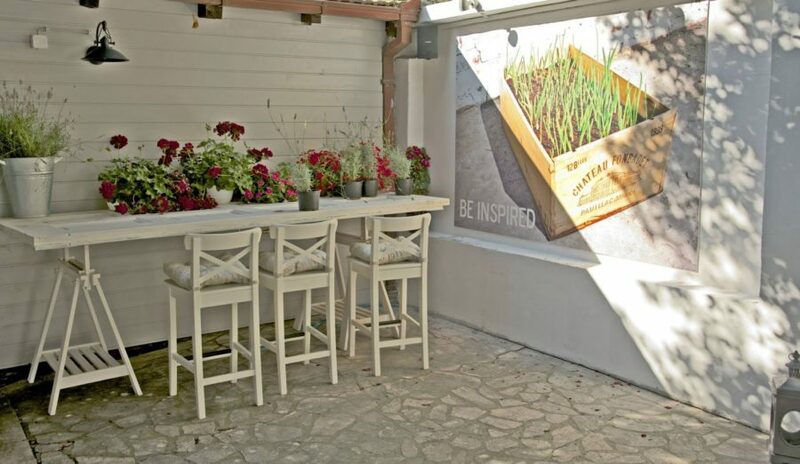 Remarkable concept, not everyday restaurant. Signature dish: Brodet Adriatic Fish Stew. Address: Zorza Klemansoa 19. Symbolizes absolute elegance, harmony, strength, minimalism in the expression of elegance. 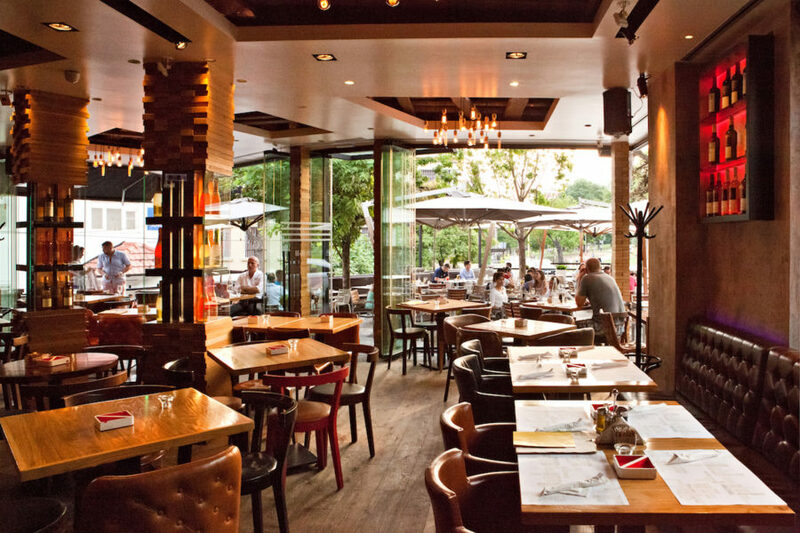 The restaurant philosophy is based on harmony of tastes and international cuisine. Signature dish: Foie gras parfait. Address: Mitropolita Petra 8. 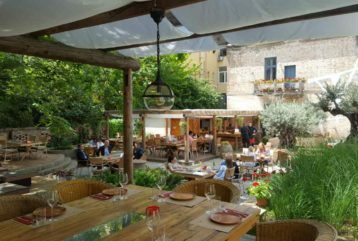 The restaurant “Gusti mora” was established in 2003. with the mission to retrieve the memories and satisfy all your senses. 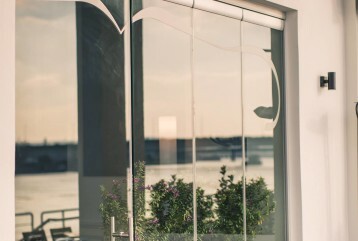 Name say it all – everything best about sea food you can find in this family restaurant. Signature dish: Date shell grilled on Buzara style. Address: Radnička 27. 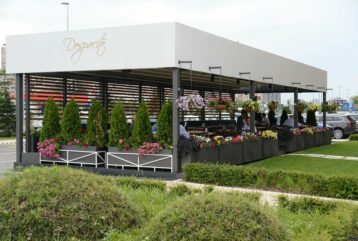 This is one of the most visited venues in Belgrade. 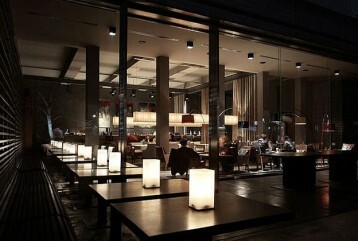 At this modern and exciting place, delicious food and remarkable beverages are served. Signature dish: Fisherman soup with deboned pices of carp. 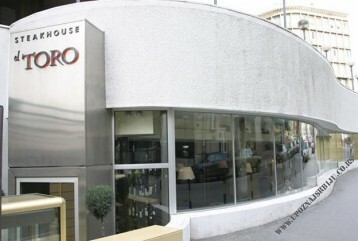 Address: Kej oslobođenja 37. All meals are made from fresh sea fish each day. 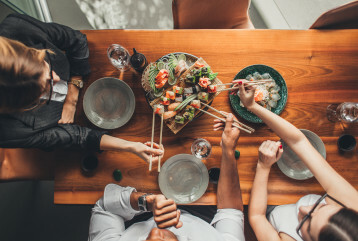 In order that for Fish & Bar quality in the first place, the fact is that salads and dishes are regularly sent for analysis to check and keep the quality of the food. Signature dish: Smoked octopus with potatoes. Address: Njegoševa bb. 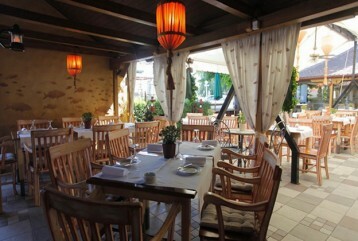 On the menu of this restaurant are recognizable Balkan specialties, but also you can find international dishes as well. 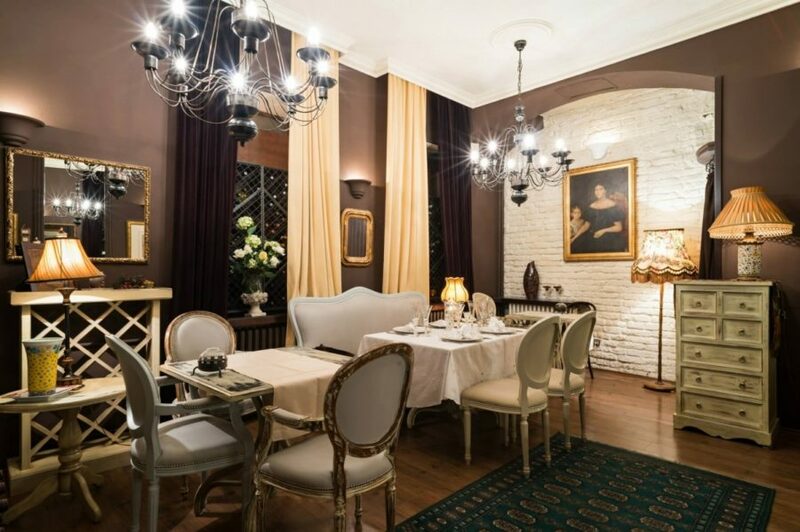 Enjoy the interior that shows a perfect blend of traditional and modern design spirit. 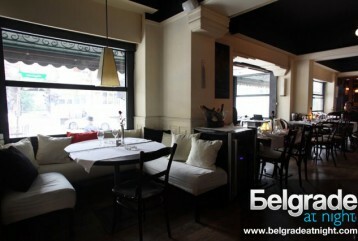 Signature dish: Gastro Balkan. Address: Oblakovska 59. Not a lot of people had such zest for life as the legendary Mexican artist Frida Kahlo. She welcomed each day with love and passion. She inspired people around her to look at life from different angles. 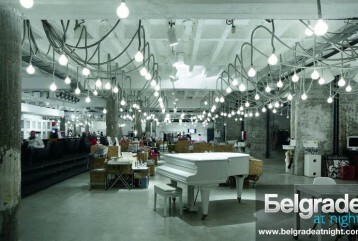 So do this beautiful venue of Belgrade. Signature dish: Berenjenas Cordoba. Address: Karadjordjeva 2-4. 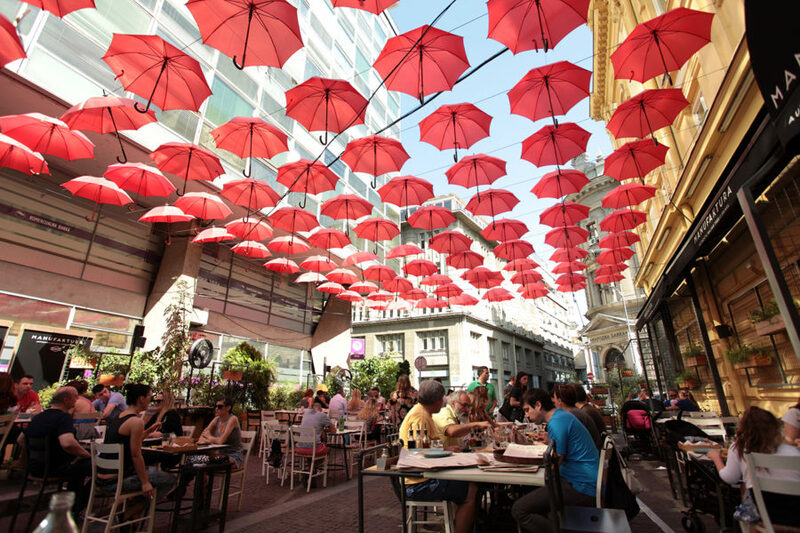 Velike Stepenice street is more than one and a half centuries the place where East and West, old and new, Belgrade and the world are connecting! 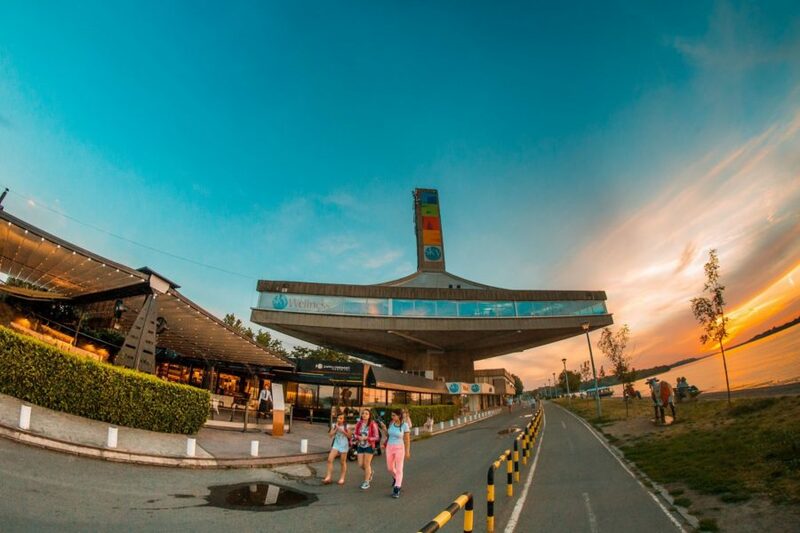 By linking Kalemegdan and the Sava pier it has always been a meeting place. 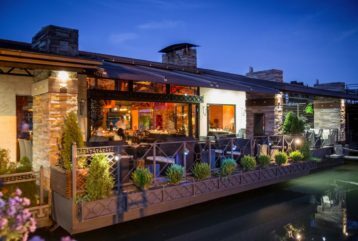 Respecting the centuries-old tradition of the city, restaurant “Stepenice” brings the old and the modern, global and domestic! Signature dish: Chicken “SCALE MAGICHE”. Address: Velike stepenice 1. 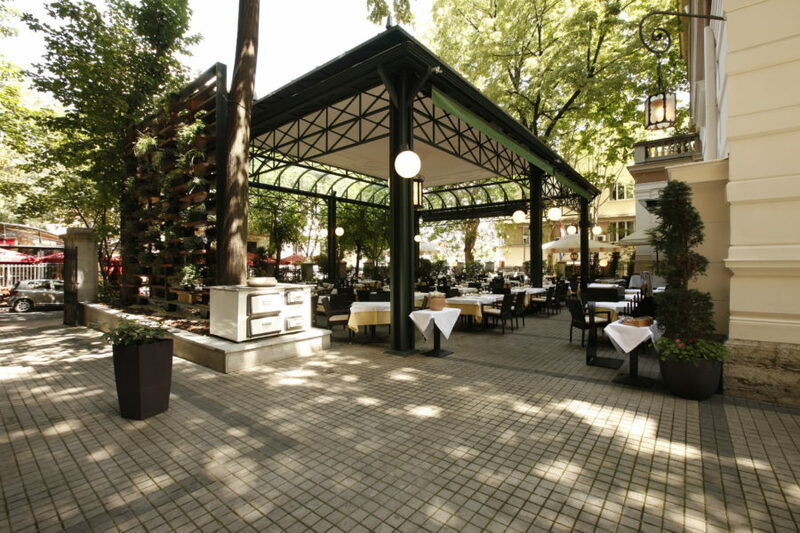 Restaurant is located in the green oasis of the park , in the heart of old Belgrade at Dorcol. 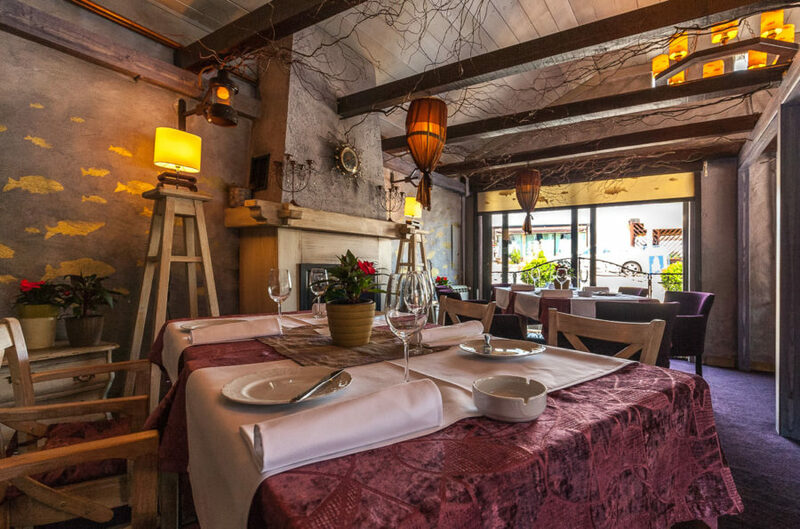 A Serbian national cuisine restaurant , with a wide selection of specialties from Toplica district (district in Serbia known for a great food). 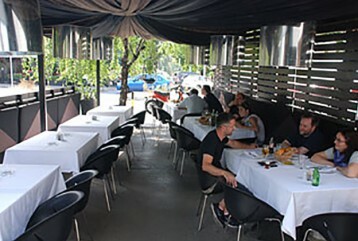 Signature dish: Belgrade steak. Address: Mike Alasa 54. 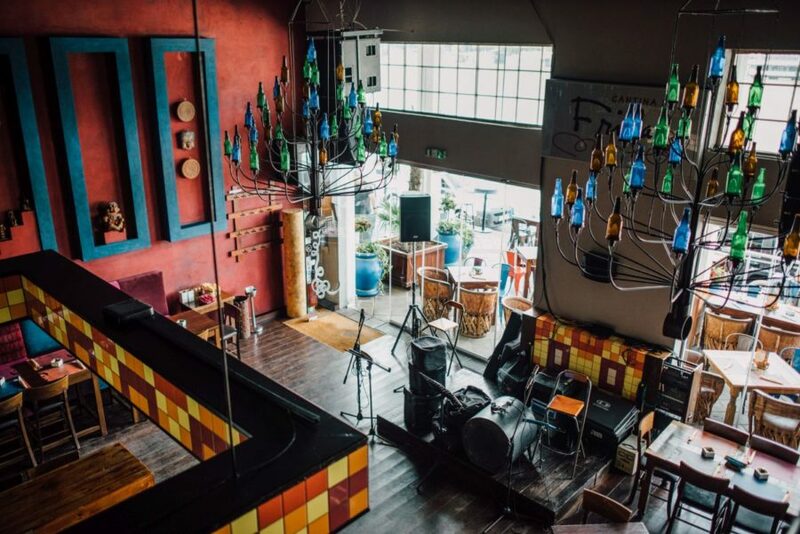 Radost is designed as a restaurant, and with organized gigs and performances by DJ’s.L isten to jazz, new jazz and old disco, mostly music of the eighties. 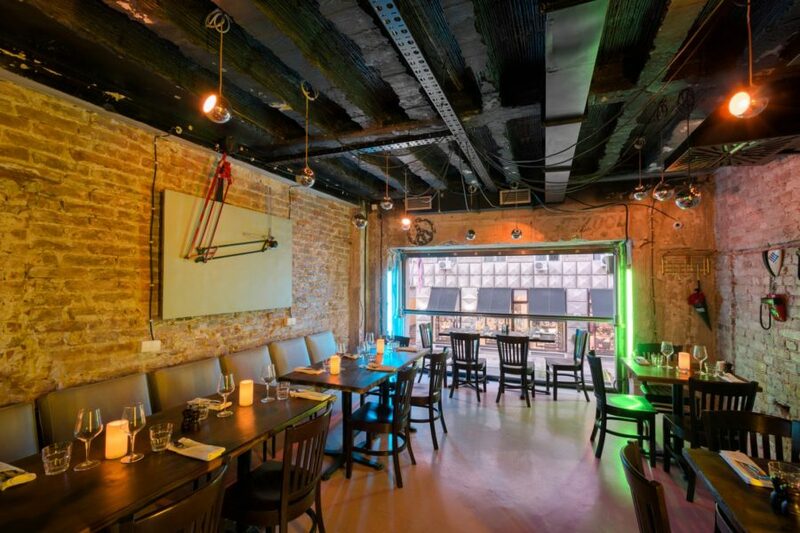 Pizza, cabaret & disco grill -all in one place. Signature dish: Pizza Diavola. 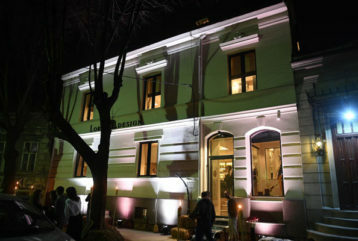 Address: Karađorđeva 44. 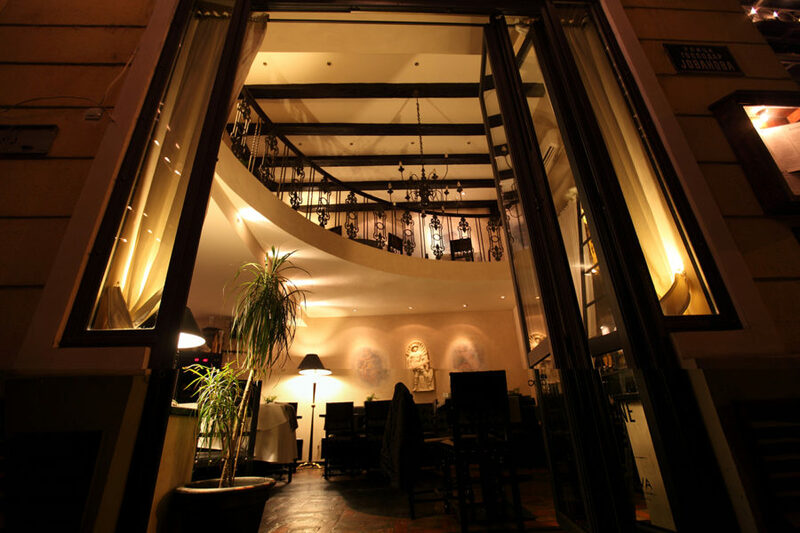 Comunale caffe e cucina is located in famous Beton hall of belgrade. 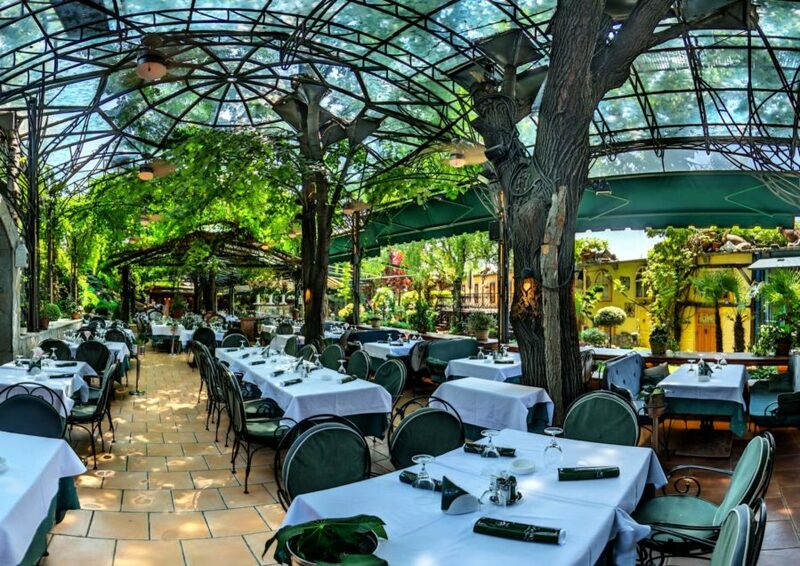 With the most beautiful view in town, enjoy Italian cuisine in its best! Signature dish: Risotto with prawns, gambereti and saffron. Address: Karadjorjeva 2-4. 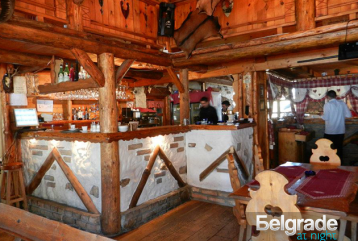 Here, you can enjoy a wide range of national dishes and specialties among which are the veal and goat pie, potato pie, homemade bread, steak in olive oil, daily cooked meals, barbecue and homemade cakes. Signature dish: Goat pie. Address: Omladinskih brigada 16a. 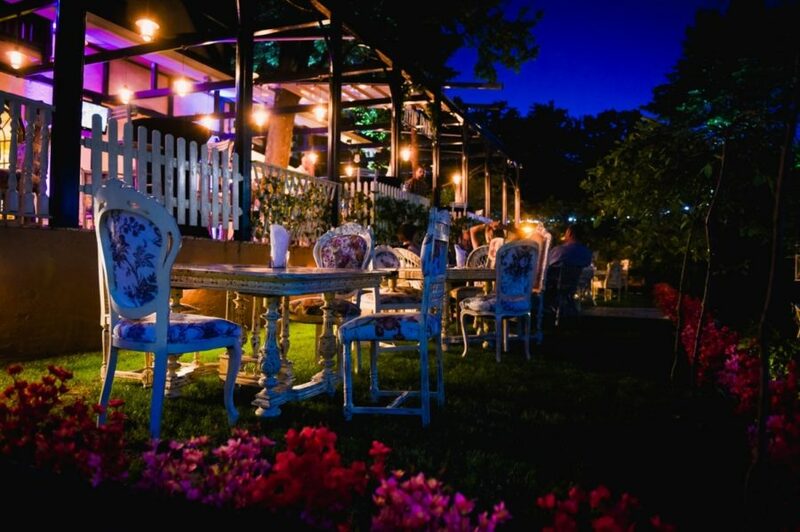 This restaurant tavern is now one of the most visited in Skadarlija, which testifies to the quality of their offer and the reputation they enjoy among gourmets and bohemians. 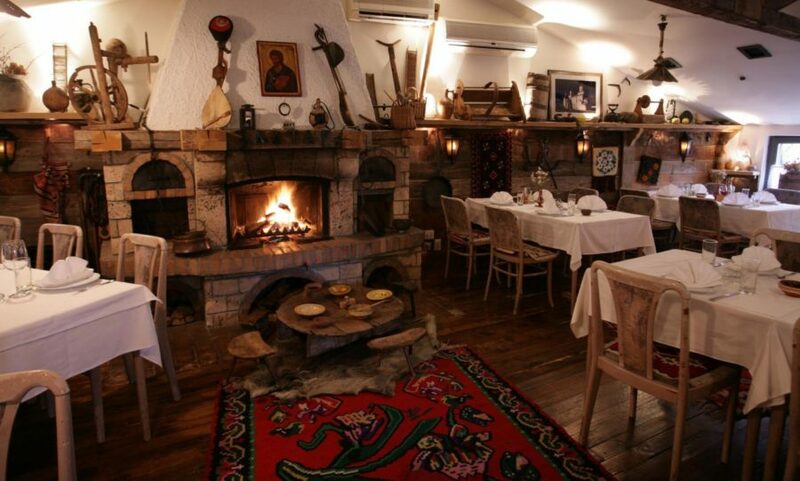 Signature dish: Muckalica Sesir Moj Address: Skadarska 21. 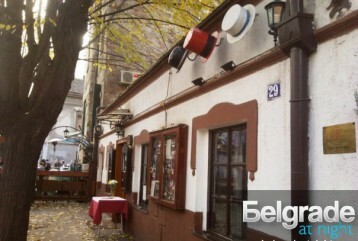 One of the oldest houses in Belgrade and the oldest preserved inn in Belgrade. It is located in the former main bazaar. The building has the status of a monument of culture. With its almost 200 years of age is also one of the best features of the city. Signature dish: Veal stew. Address: Kralja Petra br. 6. 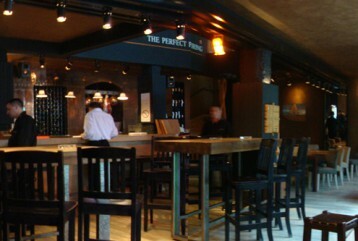 The restaurant is open seven days a week. 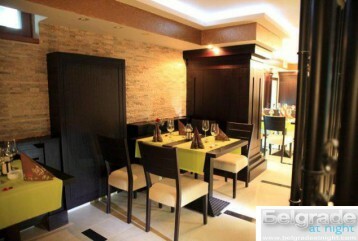 It is suitable both for a quiet business meetings, and for a pleasant family lunch or romantic dinner. 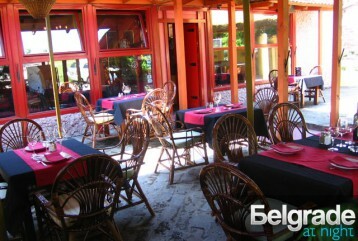 Enjoy the pleasant atmosphere and top gastronomic experience of Mediterranean, Asian and vegetarian cuisine. Signature dish: Irish pie. Address: Beogradska 37. 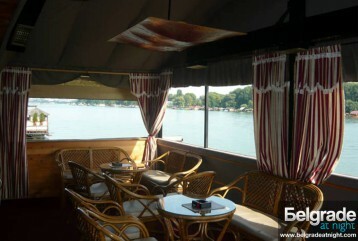 A floating restaurant “Carda Stara Koliba” is one of the most famous dinning places in Belgrade. 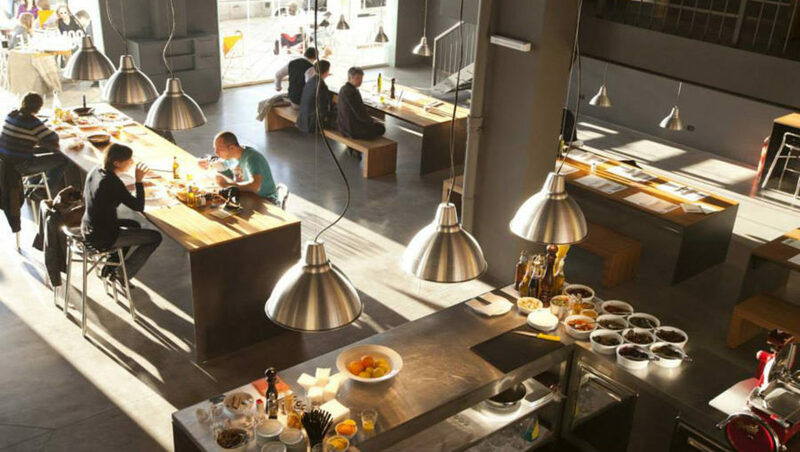 Traditional dishes with a modern touch are cooked in the open kitchen. 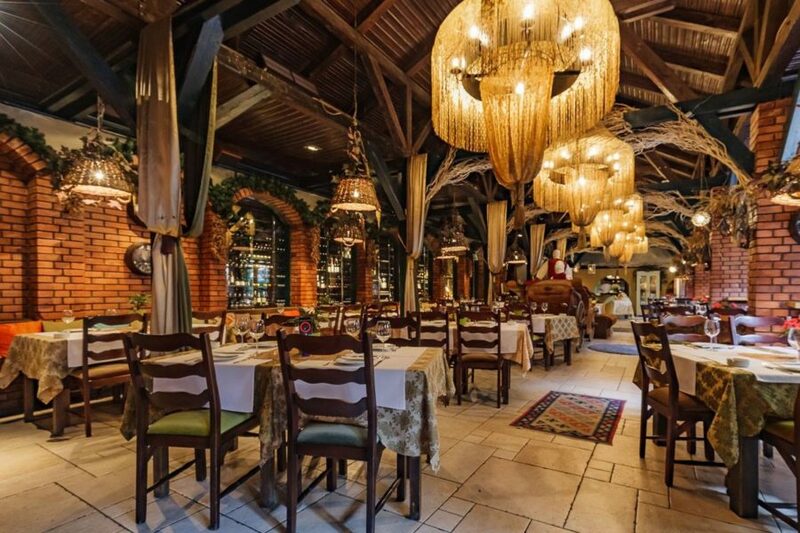 “Stara Koliba” is a perfect choice for dinning out with your family or business partners. Signature dish: Warm crepes with apples in caramel sauce. Address: Usce bb. 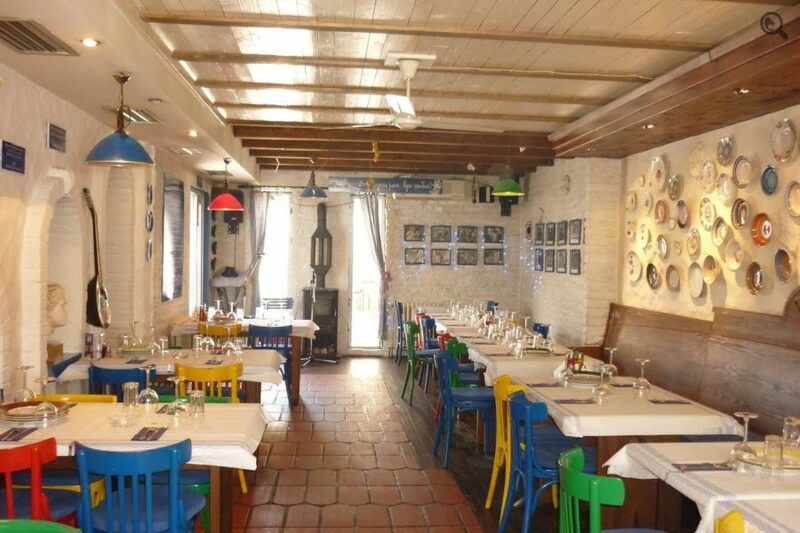 Piatakia Greek music tavern is more than a just a Greek restaurant. 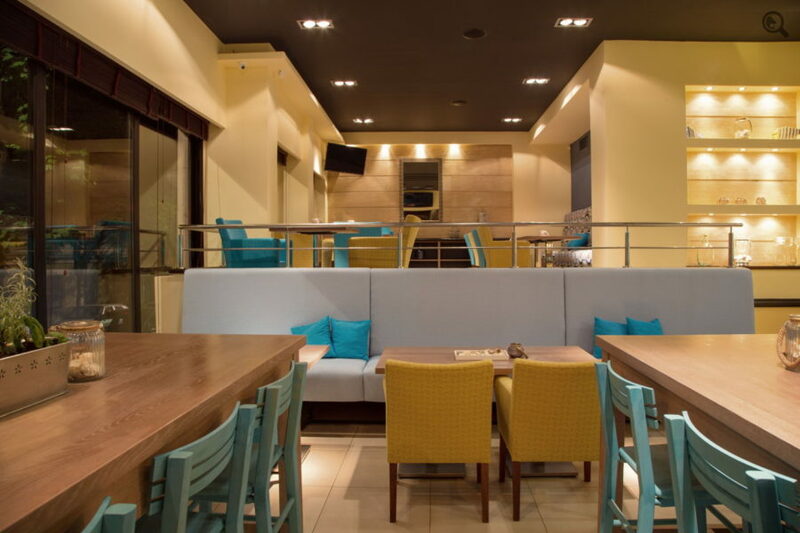 It is a Greek destination in Belgrade, a get-away, a Greek life style and philosophy spot, with Greek colors, flavors and aromas. Signature dish: Layered of eggplant, minced meat, potatoes and topped with béchamel cream. Address: Novogradska 10. 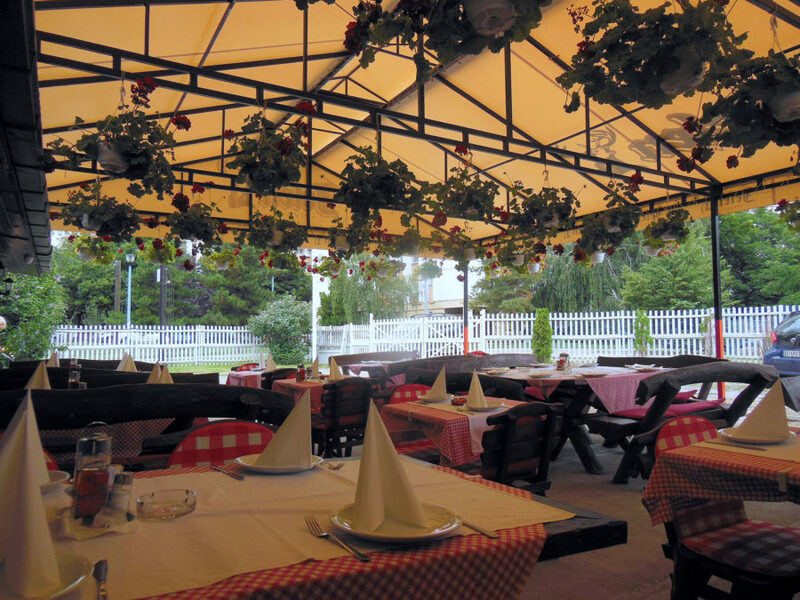 Restaurant is famous for its domestic cuisine and regional specialities. 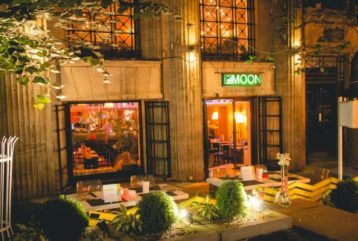 Thanks to its delicious dishes, top-class service and polite staff, this restaurant acquired regular guests amd became one of the most popular restaurants in Belgrade. Signature dish: Hors d’oeuvres Address: Preradoviceva 9a. 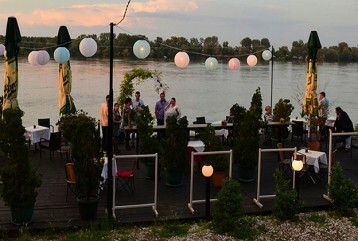 This restaurant is Spanish-Mediterranean mix, and it is located at the bank of Danube river. 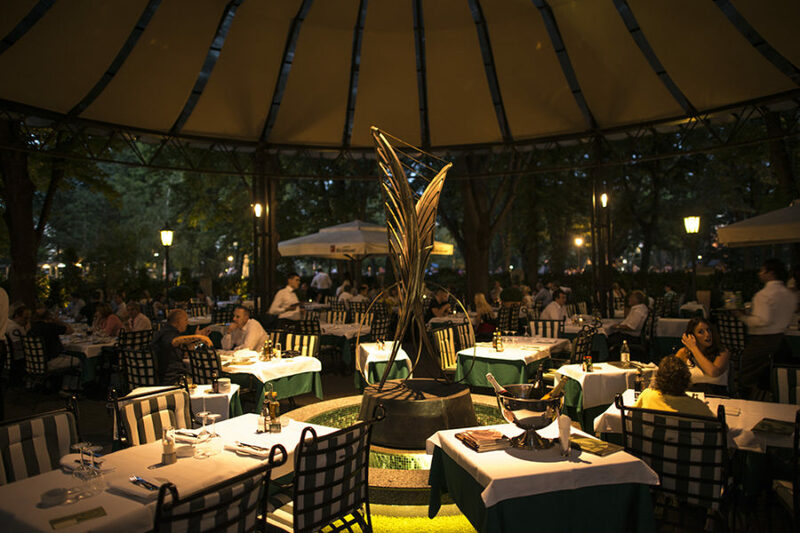 There are specialities such as tapas,snacks,tortillas,specialities from fresh sea fish,a chuleton that Milagro first presented to the capital and because of that became favourite place for its fans of good bite. 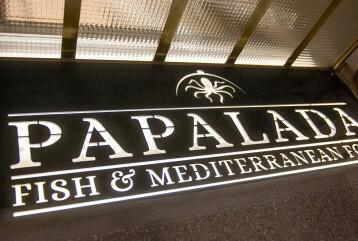 Signature dish: Cuttlefish “a la plancha“. Address: Kej Oslobodjenja 55.